The staff of Carneghi-Nakasako & Associates have extensive education backgrounds, decades of experience, and have performed thousands of real estate appraisals covering all San Francisco Bay Area markets, municipalities, and property types. Carneghi-Nakasako & Associates represents one of the largest groupings of MAI designated real estate appraisers in the South Bay. Brad Carneghi, MAI, is a Principal of Carneghi-Nakasako & Associates. Brad and his business partner, Rick Nakasako, started the commercial real estate appraisal firm Carneghi-Nakasako & Associates in 2016. Prior to establishing Carneghi-Nakasako & Associates, Brad was a project manager with Carneghi and Partners, Inc. (formerly Carneghi-Blum and Partners, Inc.) for nearly ten years. Brad has extensive experience appraising both straight-forward and complex real estate and ownership interests throughout the greater San Francisco Bay Area region. Brad regularly provides valuation services on nearly all classes of commercial, industrial and residential real estate as well as a diverse selection of special purpose properties. Brad began his career in real estate appraisal after earning a Bachelor’s Degree in Anthropology at the University of California, Santa Cruz in 2006. Brad currently lives with his wife and son in the Willow Glen neighborhood of San Jose. Rick Nakasako, MAI, is a Principal of Carneghi-Nakasako & Associates. Rick was awarded his MAI designation in 1994 (#101264). He has been an active practicing appraiser in the Silicon Valley area for the past 3+ decades. 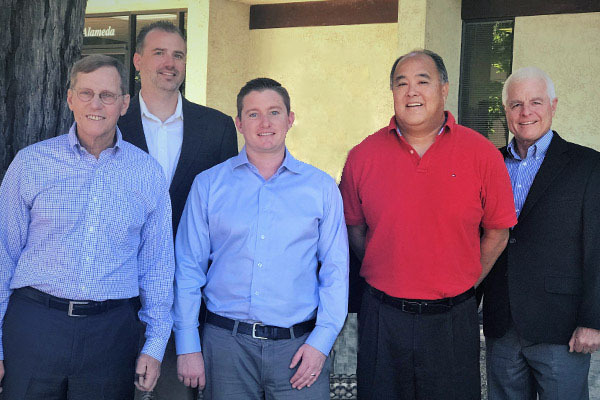 Rick Nakasako and business partner Brad Carneghi, MAI, formed the commercial real estate appraisal and consulting firm Carneghi-Nakasako & Associates in 2016. Prior to establishing Carneghi-Nakasako & Associates, Rick was a Partner and managed the San Jose office of Carneghi and Partners, Inc. (formerly Carneghi-Blum and Partners, Inc.) for over ten years. Rick’s extensive experience ranges from small commercial properties to large-scale/high profile appraisal and consulting assignments including, but not limited to: tax assessment appeal work for some of the largest tech companies (Cisco Systems, IBM and Samsung) in Silicon Valley; bank lending/loan monitoring; various land appraisals for non-profits such as Peninsula Open Space Trust (POST), Midpeninsula Regional Open Space District (MROSD) and Urban Housing Communities (UHC); proposed residential, industrial, retail, office and R&D construction; rent arbitration services; Estate tax planning; partial take/condemnation work for city/government agencies; and various other appraisal assignments. In his spare time, Rick has for the past 10+ years coached basketball at the high school/Asian League level. Rick, a graduate from Cal Poly-San Luis Obispo, was born and currently resides in Fremont with his family (wife Amy, daughter Kristi and son Bryan). Mr. Prescott has been appraising proposed and existing commercial, industrial, and residential property since 1985. He earned the MAI designation from the Appraisal Institute in 1995, and the CCIM designation in 1997. He is an experienced expert witness in land valuation, easements, eminent domain, construction defects, subdivision analysis, retail centers, mobile home parks, and standard of care for appraisers. These assignments have been undertaken about 50/50 for the defense and plaintiff. His most interesting and challenging recent work has been concentrated in the areas of rural land acquisition for public agencies, and consulting for municipalities regarding in-lieu fees. Past work includes improved properties and/or land for office buildings; warehouses; industrial and R & D buildings; apartment complexes; mobile home parks; self-storage facilities; auto dealerships; service station and fast food sites; agricultural, ranch and conservation land; attached and detached single family dwellings; residential and commercial condominiums and cooperatives; commercial & residential land development projects; easement valuation; rent surveys; and arbitrations. Clients have been government agencies, lenders, attorneys, accountants, corporations, and individuals, needing valuation consulting and real property valuation for eminent domain, estate planning, mortgage lending, litigation support, construction defects, partnership disputes, lease negotiation, mis-management, fire damage, earth movement, gifting, taxation, subdivision, investment, collateralization, purchase, and sale. Twelve years prior experience in the industrial property insurance industry as a loss prevention engineer, underwriter, account executive, and broker. Chris Carneghi, MAI has extensive experience in complex real property valuation issues including litigation support. He is a commercial real estate appraiser with more than 30 years‐experience in the San Francisco Bay Area including Silicon Valley. He is a Member of the Appraisal Institute (MAI) and is licensed as a California Certified General Real Estate appraiser. His areas of expertise include arbitration and expert witness testimony. He has extensive experience in appraising for condemnations, rental and other appraisal valuation disputes and property tax assessment appeals. Valuation of leasehold and leased fee interests are areas of expertise. Mr. Carneghi frequently provides litigation support and has provided testimony as an expert witness in court and in private arbitration proceedings. He has often acted as either a neutral or party arbitrator in resolving matters of real estate values, rents and related issues. He has been qualified as a real estate appraisal expert and provided testimony in all Bay Area California Superior Courts and in Federal United States Bankruptcy Court. He has been qualified as a real estate expert and testified in Federal Tax Court, in California Public Utilities Commission (PUC) hearings and in hearings conducted at the American Arbitration Association (AAA) and Judicial Arbitration and Mediation Service (JAMS) in various locations. He has also testified in Hawaii concerning ground lease issues. Matt Watson, MAI, is a Senior Appraiser with Carneghi-Nakasako & Associates in San Jose. Matt has been a California state-certified commercial real estate appraiser since 2006. He joined Carneghi-Nakasako & Associates in January 2018 after 16 years at The Schmidt-Prescott Group. Matt served as a Senior Appraiser at The Schmidt-Prescott Group from 2012-2017, appraising a variety of property types, as well as overseeing a trainee appraiser from 2013-2017. Matt’s appraisal experience includes appraisal, appraisal review, and consulting assignments for all types of real estate and property rights, including but not limited to: multifamily residential (rental and sell-out), development sites (commercial, residential, industrial), agricultural, commercial, agricultural, and special purpose properties. Industrial properties include light industrial, research and development, warehouses, and manufacturing and distribution facilities. Commercial and special purpose properties include office buildings, shopping centers, big box retail, single tenant net lease, banks, schools, churches, retail strip centers, auto-related uses, data center, parking garages, and restaurants. Matt has completed appraisal reports for attorneys, lenders, accountants, corporations, government agencies, title companies, partnerships, and individuals for estate planning, mortgage lending, taxation, purchase, and sale. He also provides valuation services for property owners and public agencies for use in right-of-way acquisitions. Matt holds the MAI designation with the Appraisal Institute. He serves as a Candidate Advisor for appraisers working towards professional designation with the Appraisal Institute. Matt earned his Bachelor of Science in Electrical Engineering from the University of California at Santa Barbara. Matt lives with his wife and two children in San Jose. Eric Liu is an appraiser at Carneghi-Nakasako. Eric joined Carneghi-Nakasako & Associates in September 2018, previously he was an Appraiser’s Assistant for a decade at Vista Point Appraisals, a residential real estate appraisal firm located in the East Bay. Eric has assisted in various types of appraisal assignments including commercial, industrial, retail, office/R&D, single and multi-family residences, and various other types of assignments. Eric earned his Bachelor of Arts in Design Studies from San Jose State University.